NetSuite Release 2019.1 has focused extensively on the retail business, and have introduced some stellar features to help retailers harness the power of data, and trends in a better way. No doubt retail is one of the oldest businesses done by human beings, but in 2019, it is more complicated and more dynamic than ever. Internet, mobile, social media and ecommerce has added that extra layer of zing to the overall business model, and if the retailer is not able to navigate them, then the business is clearly outdated. Find out how NetSuite has understood the changing dynamics of the retail business and introduced new features which will make all the difference. Originally released as a beta in the last update, SuiteAnalytics Workbook is now available for all in the new NetSuite Release 2019.1. This powerful data analytics tool will help retailers to become more data-centric, and to explore analytics in an interesting manner. Now, format and customize the data as per your specific requirements, and use business intelligence in a new, exciting manner to make better business decisions. 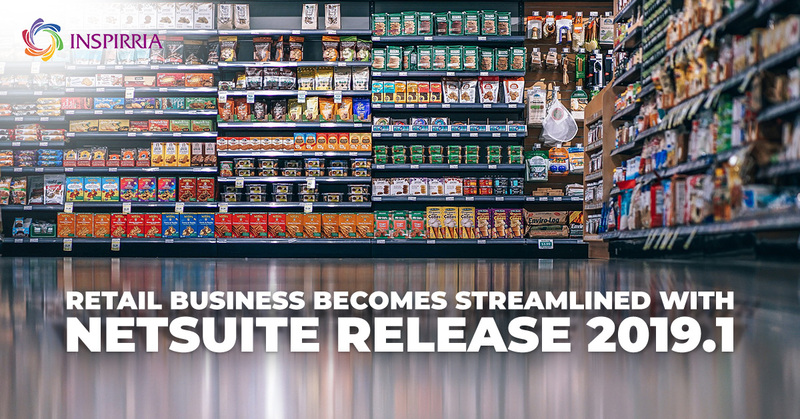 The new NetSuite Release 2019.1 makes the overall look and feel of the business management suite more clear, clutter free, and easy to navigate. The new UI makes NetSuite look and feel more like a consumer-grade application, than a business one. Instead of age-old menu based menu driven screens, the new dashboard of NetSuite has now a clean, and modern, visually appealing look. Crucial data can be now extracted swiftly, via redesigned KPI meter, and only a glance is enough to understand the key metrics. This will enable anyone to checkout multi-series chart and trend graphs seamlessly, saving time for your employees, and making them more productive. SuiteTax is the new tax engine from NetSuite, which is available in the latest Release 2019.1 via limited release. Retailers can now easily calculate different taxes such as VAT, GST, Sales Tax etc using one single platform, with a single click. Tax rates from more than 190 countries will be automatically updated in the tax engine, which means a simplified tax system for your retail business. Often, there exists confusion and chaos because of payment approval system within the retail business: The vendors complain that their payments haven’t been released, and the accountant complains about authorization delays. With the new Release 2019.1, NetSuite solves this problem by creating a customization workflow for routing the approval process to the designated persons. Retailers can have better control over the Accounts payable process, and prior to the release of the payment, the management can have oversight over the entire process. This ensures more transparency and faster payment approvals. NetSuite understands that ecommerce is an integral part of modern retail, and this is the reason 19 new SuiteCommerce extensions have been introduced in the new Release 2019.1. These new extensions include Google Tagmanager editor, best sellers, featured products and more. The business owner can now easily add the required capability into their website using these extensions, and make their website more user-friendly, and more powerful. Besides these highlights, there are several other interesting updates as well, which have been introduced in the latest Release 2019.1 by NetSuite.